If you’re announcing a series of exotic voyages to the South Pacific, then a Polynesian tiki bar in the heart of London is probably an appropriate place to do it. And it’s a fair bet that many of those who turned up for the launch of Cunard and P&O’s 2013 world cruises were drawn as much by curiosity about the one-time hang-out of young Royals as a desire to be first to get their hands on the brochures. Two floors down, deep beneath the streets of the West End, the Mahiki Club is where Princes William and Harry used to party through the night, sharing expensive cocktails with Kate Middleton and her cohort of friends. Last night a bunch of bemused journalists had giant pina coladas in hollowed-out pineapples thrust into their hands before being expected to grab notebooks and pens to take down the cruise details being announced by P&O president Carol Marlow and Cunard boss Peter Shanks. It was Shanks who summed up the surreal nature of the event by remarking that he, for once, was wearing a nightclub wristband, rather than scooping one up from the floor after his daughter had returned home in the early hours. I think he missed a trick when he teased his audience with a special offer (on sale from July 14, by the way) on the Balmoral duplex suite for Queen Mary 2’s 106-night world cruise departing from Southampton on January 10 2013. Claimed to be among the most lavish suites afloat, on two levels and with its own gym and kitchen alongside the living and sleeping accommodation, it can be booked for £116,600 for the duration – that’s a mere £1,100 a night. Per person. But imagine what the price could be if Cunard were able boast that it had been used by the Duke and Duchess of Cambridge. Make the suite available to the newlyweds, Peter, and then see how much you can charge! For ordinary mortals, an inside cabin on the same voyage would set you back rather less – £10,979 or just £99 a night. Though whether that’s actually cheaper than staying at home, as Shanks claims, probably depends on whether you shop at Fortnum and Mason rather than Iceland, and how much your electricity bill adds up to each winter. Queen Mary 2’s 2013 world voyage is not a circumnavigation – the ship will sail through the Mediterranean and Suez to India, Singapore, and Shanghai before heading south for Australia and New Zealand and returning to the UK across the Indian Ocean and via Capetown and up the west coast of Africa. Sister ship Queen Victoria – most popular of the three vessels in Cunard’s fleet – will complete a true 105-night westbound circumnavigation, transiting the Panama Canal en route to Hawaii, Australia, Vietnam and Dubai before returning home via Suez. Queen Elizabeth leaves the UK on January 6 for a 91-night voyage across the Atlantic and Pacific oceans to New Zealand and visiting lots of ports in the Caribbean and on the west coast of America and Mexico. P&O’s catalogue of 2013 world voyages is even more extensive and exciting. For the first time, the company will be sending off four ships, from its smallest to the biggest. New girl Adonia, carrying 710 passengers, makes an 85-night voyage around South America, calling at 35 ports, rounding Cape Horn, while Azura, with more than 3,000 on board will make an east-bound passage to Australia. Arcadia will also round Cape Horn en route to New Zealand, Australia and Hawaii before returning through the Panama Canal. It’s left to Aurora to complete a true circumnavigation, taking 106 nights and with fares beginning at £9,499. P&O boss Carol Marlow couldn’t match the Balmoral Suite deal from Cunard, but she did trump Shanks’s £99-a-night deal with her own lowest price of £79 per night. All the world cruises go on sale on July 14, and shorter sectors will be available for booking a day later. It will be interesting to see which voyages, and which ships, sell out soonest, and which are being discounted a few months later. I know what my forecast would be, but I’ll keep it to myself for now. 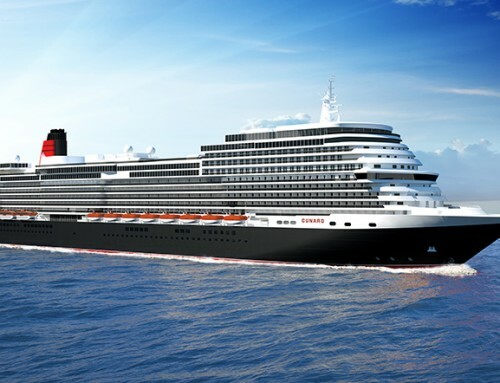 For more information, check out the details at www.pocruises.com and www. 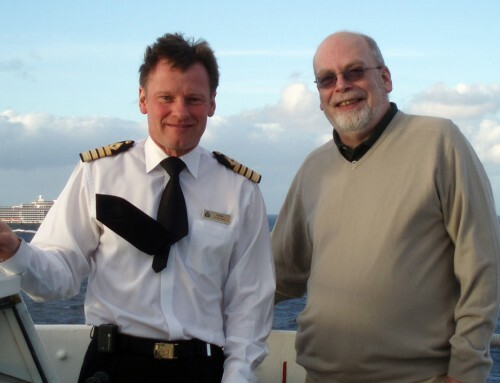 cunard.co.uk, or grab a brochure from your local travel agent.